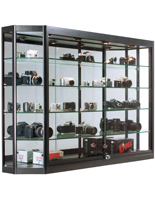 What makes these locking display cases with lights an excellent choice for store and gallery showcases? 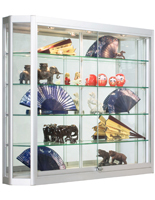 Each of the cabinets protects merchandise, collectibles and exhibits with their secure doors. 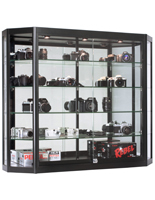 Use these locking display cases in shops to feature valuable wares like phones, cameras, vape supplies, jewelry, handbags, memorabilia and more. 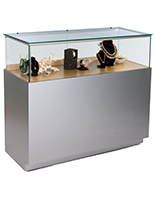 With their high visibility, this type of fixture makes a great centerpiece for any specialty store or an addition to a larger retail setup. 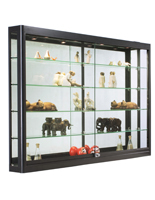 In addition, locking display cases with lights are often used in museums and galleries to put artwork and artifacts in the spotlight. 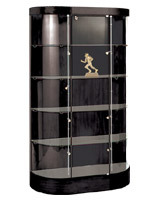 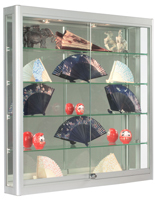 Show off prized collectibles and souvenirs in one of these secure cabinets. 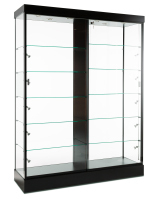 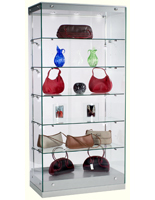 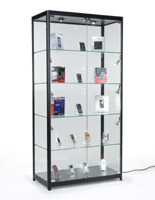 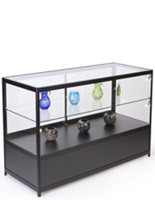 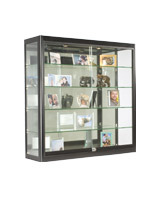 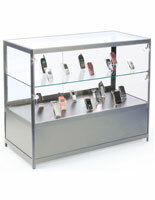 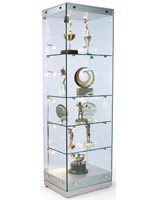 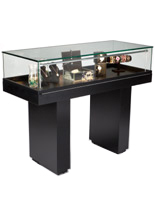 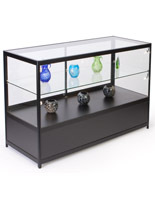 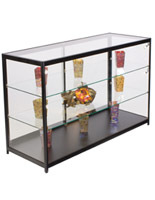 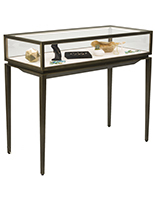 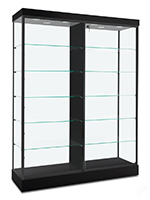 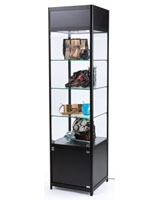 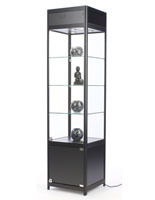 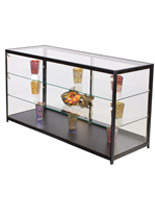 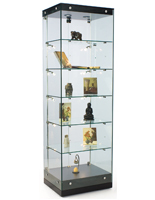 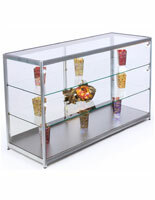 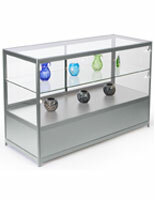 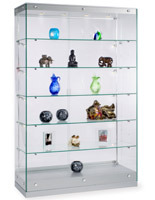 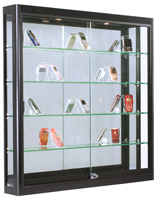 The locking display cases with lights has a strong tempered glass construction for maximum visibility and durability. 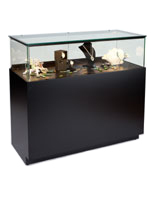 Each stand also has a metal or fiberboard frame with a neutral finish for matching any retail or gallery environment. 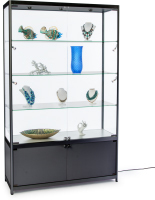 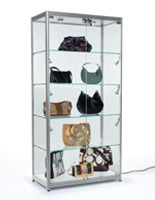 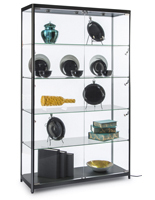 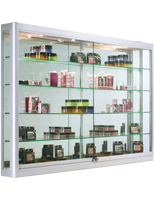 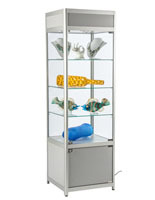 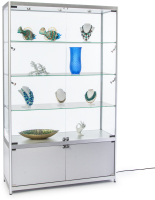 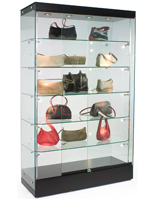 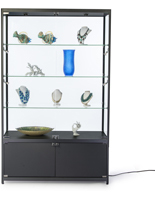 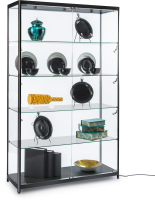 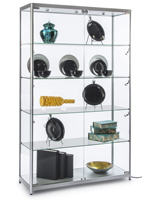 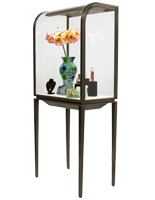 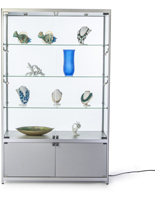 This line of locking display cases illuminates items with either LED or halogen bulbs. 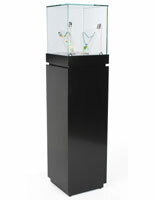 Lighting comes in three styles, top, side and spotlight, for different display options. 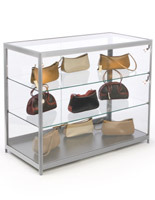 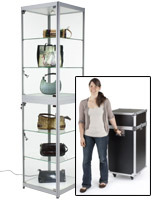 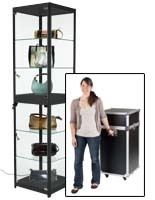 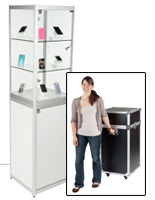 In addition, the locking display cases are sold as both floor stands and wall mounts for interiors of different sizes. 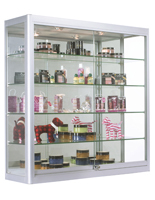 With tempered glass shelves and mirrored surfaces, these cabinets are made to bring any curio to prominence.